In today’s Papa John vs. Papa John’s update, after the board of his former company tried a “poison pill provision” move designed to prevent him from taking back control, John Schnatter is now suing the company he founded. Says CNN Money, “In a lawsuit filed in Delaware Chancery Court on Thursday, Schnatter’s lawyers say he is seeking to inspect company documents ‘because of the unexplained and heavy-handed way in which the company has treated him since the publication of a story that falsely accused him of using a racial slur.’” I’m no Clarence Darrow or anything, but Schnatter publicly apologized for using said racial slur in a marketing phone call reported in that Forbes story, so how is that “falsely accused”? The complaint also claims that “‘Either the purportedly independent directors acted without adequate information and breached their duty of care,’ or they ‘planned this coup in advance.’” By predicting the Forbes article? Honestly, I need to watch more L.A. Law reruns to make sense of this lawsuit. 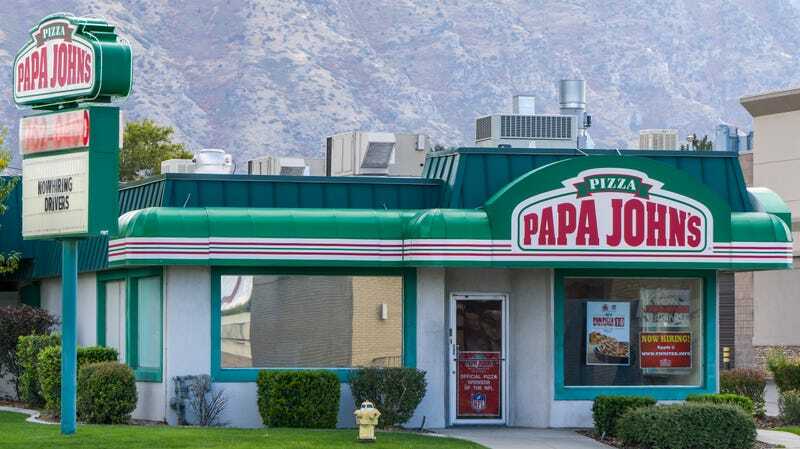 For its own part, Papa John’s (the company) replied in a statement that the lawsuit is “needless and wasteful” and added, “We will not let his numerous misstatements in the complaint and elsewhere distract us from the important work we are doing to move the business forward.” Welp, good luck with that. Fortunately it’s Friday, so with any luck, we look forward to two prospective Papa John’s-headline-free days. But who knows. can we wrap this up please?